The Litter-Robot Bubble automatic self-cleaning litter box. If you have a medium-to-large sized cat (less than 15 lbs.) that needs a bit more space, the Litter-Robot Bubble is the product for you! With an additional bubble shaped window, the interior space is increased by 3 inches and and allows natural light to enter the globe. 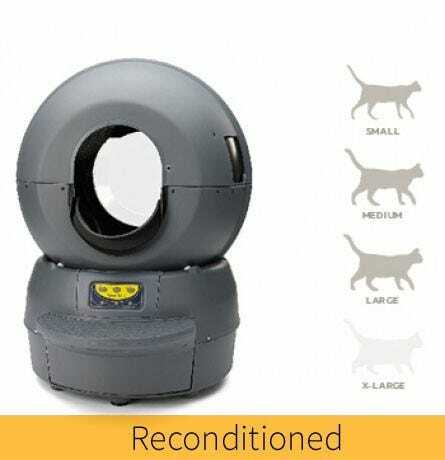 Manufacturer reconditioned Litter-Robots are generally units sold as new and then returned under our 90-day return policy. 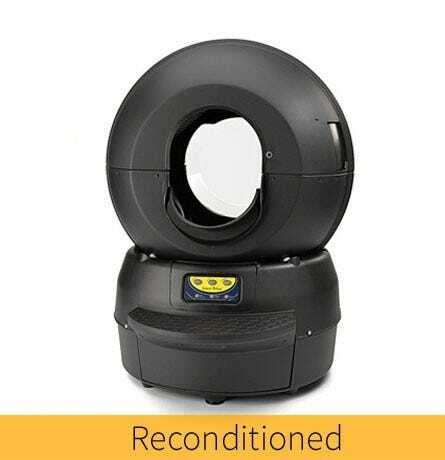 Eligible units and components are reconditioned and tested to verify they meet original factory specifications. 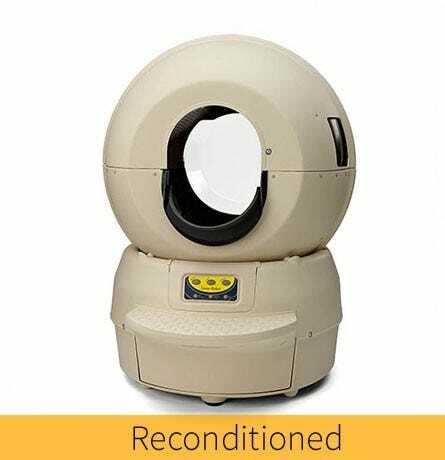 Reconditioning usable products aligns with our values at AutoPets. We aim to reduce our environmental impact from manufacturing to end user. By extending the useful life of our products through reconditioning and reselling, together we reduce waste. Is there a warranty for reconditioned units? Yes, AutoPets stands behind reconditioned units with the same 18-Month Warranty as our new units, starting from the date of shipment. 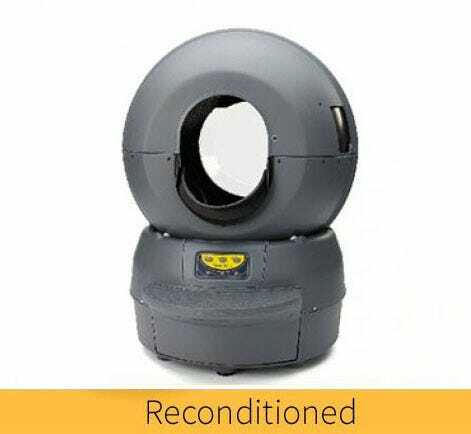 During the warranty period, we will repair your Litter-Robot at no charge. We cover all parts, labor, and shipping costs within the contiguous 48 United States. Customers in Alaska, Hawaii, and Puerto Rico will incur additional shipping costs. Comfortable for medium- to large-sized cats up to 15 lbs. Free shipping to the contiguous 48 states. Shipments to Hawaii, Alaska, and Puerto Rico will incur additional shipping costs. Shipping rates are based on destination zip code, package weight, and volume. We will provide this rate at checkout.